Hey fabulous people! The spring season is quickly approaching, so I thought this would be the perfect time to share my 6 Must Haves for Spring 2013. 1. Mint. Mint. Mint! – You must have some article of clothing in mint. This is such a popular spring color; you’ll have no issues finding something. What I like most about mint is that it looks nice against a variety of skin tones. Mint can be paired with patterns and other light colors. I love to pair this color with leopard print, but if you’re looking for a more toned down look, pairing it with white will do just fine. 2. Don’t fall of the Wedge – It’s time to kick off the snow boots, and opt for an open-toe wedge. Open-toe footwear is a sure sign that warmer weather is here. Again, with the season being spring, I’d go for wedges that are light in color, have cork, and/or are open-toe. I have nothing against closed-toe wedges, but I’m sure you’re feet need to breathe, which is why I recommend an open-toe wedge. 3. Pastel Nails – The spring season is really about light and pastel colors. So, don’t skip out on polishing those nails with colors that will definitely fit in this season. Several nail polish brands are starting to market their new spring 2013 lines. Be sure to check them out! I’m definitely excited about polishing my nails with a lavender or a soft pink color. 4. 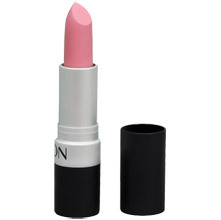 Pink Lips – This is a must have for spring. I’m not referring to bright pinks like fuchsia, but rather light and pale pinks. I know for darker toned women, it’s hard to find a light/pale pink that looks good. However, don’t give up the fight. There’s a light/pale pink out there for everyone. I really like NYX’s Tokyo matte lip cream. Any woman who’s somewhat interested in make-up knows that it’s trial and error when searching for colors you like, especially lip color. 5. Feminine Floral (light or pastel) – Floral print screams spring season. However, when searching for floral print this spring, look for softer, lighter prints. These light floral prints give off a really feminine look. 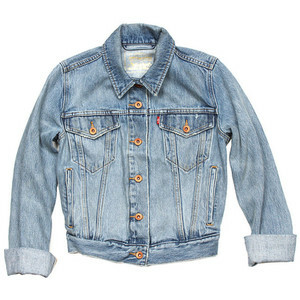 They also look great under a really cute jean jacket, and who doesn’t love a jean jacket?! A lot of popular brands have floral prints on their spring lines, so it shouldn’t be hard to snag a blouse or a fab dress. 6. Le Jean – It’s time to ditch those heavy winter coats, and bring out your favorite denim jacket. I can’t wait to rock my jacket with my light/pastel colors this spring. And the best part about wearing denim is that it looks good with everything. If you decide to rock a floral dress or a sheer mint blouse, a jean jacket won’t take away from the look you’re aiming at. Instead the jacket will compliment it. What are some of your Must Haves for Spring 2013? Posted on Tue.Mar.05.2013, in Fashion and tagged beauty, black blogger, fashion, fashion and style, fashion blogger, fashion blogs, fashion style, fashionista, floral print, floral prints, health & beauty, health and beauty, in-style, Jean jacket, light colors, make-up, mint, nail plolish, nails, ootd, pale pinks, pastel colors, pastels, pink color, pink lips, pink lipstick, snow boots, Spring clothing, spring color, spring is here, spring outfits, spring season, Spring trends, style, style & fashion, style and fashion, trend, trends, trendy, wedges, young black women. Bookmark the permalink. 2 Comments. You can never go wrong with those 6 must haves! Oh la la lovein’ the pink lip stick. Mac cosmetics has a great selection of different shades of pink! Thanks! MAC really does have a great selection. I actually plan to go look for Ruby Woo, and a pink lipstick.